Karim Nagi is a native Egyptian drummer, DJ, composer and folk dancer. 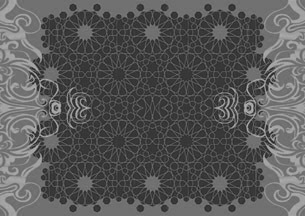 He is the creator of Turbo Tabla, and has released four internationally distributed CDs of this unique brand of Arab House/Electronica using acoustic instruments. Karim has authored instructional DVDs for the Tabla/Doumbek, Riqq tambourine, Maqam & Taqsim, Drum Solo for Dance, and Arab Folk Dance. He is well versed in the ultra-traditional styles of music, and has lead the Sharq Arabic Music Ensemble since 1999. He promotes and fosters the study of Arab dance in the USA as the director of the Arab Dance Seminar. Karim performs and teaches Tahteeb Cane Dance, Dabka Line Dance, and Zikr Sufi Dance. He taught at the New England Conservatory of Music for 5 years, and has lectured and presented at Harvard, MIT, Yale, Bowdoin, Princeton, Stanford, William & Mary, Georgetown, and several Community Colleges. Additionally, Karim Nagi's Arabiqa program has conducted over 300 school assemblies across America, exposing young audiences to Arab traditional arts. His performances boast a dynamic concoction of live drumming and dance, done in unison. Because of his proficiency in both music and dance, his workshops deliver students to a new physical understanding of the connection between these two disciplines. 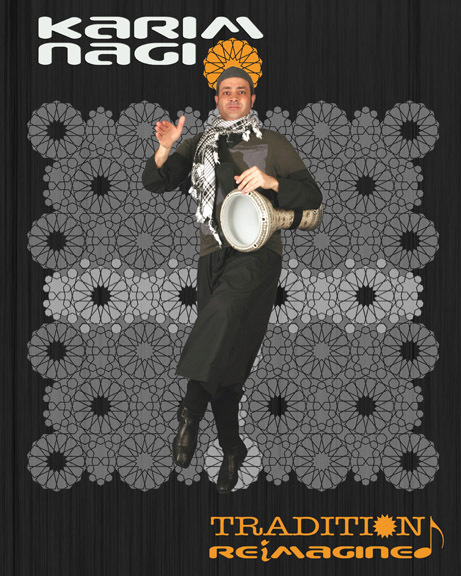 As a dance and drum teacher, Karim has taught in dozens of festivals in the United States, Asia, Europe and Cairo, as well as all major Arab Culture festivals in the USA. Karim Nagi is a true crossover artist, uniting the Cabaret and Tribal, Traditional and the Modern, the Ethnic and the Urban. Arab Performing Arts and Culture, General Public Lectures & Discussions. Faculty, New England Conservatory of Music: School of Contemporary Improvisation. Faculty, New England Conservatory of Music: School of Continuing Education. Faculty, Arabic Percussion, Middle East Camp, Mendocino Ca. Arabic Music Retreat with Simon Shaheen, Mt. Holyoke, Ma. Six week drum workshop, Armenian Cultural Center, Watertown. Clup Passim School of Music, 2 week intensive on Arabic percussion, Cambridge, MA. Zaitoun Dabka Open Session and Outreach coordination.